Airbus wings scandal! Company threatens to fly the UK in event of no-deal Brexit. Airbus warned that a no-deal Brexit could force them to move wing-building operations from the UK. Describing the current lack of a Brexit agreement as a "disgrace", Airbus CEO and German, Tom Enders, said: "We will have to make potentially very harmful decisions for the UK". The UK's Chancellor of the Exchequer and Englishman, Philip Hammond, said a deal was imminent and it was too early to talk of crashing out. Enders replied that it was unfair to mention past Airbus crash history and reminded Hammond that he had voted to reduce central government funding of local government leaving socially-responsible companies like Airbus to pick up the human flotsam and jetsam resulting from his government's devastating social policy. Hammond suggested that Enders' remarks were made with the sole intention of forcing the government to reach a decision that would benefit the EU and Airbus' French masters rather than the UK. Enders said he was not bluffing. Hammond called his bluff and raised him the benefits of a weak sterling and superior English workmanship. 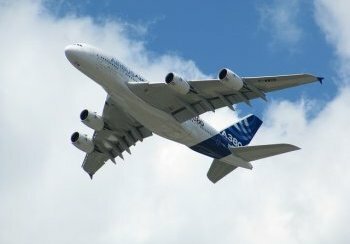 Enders said: "There are plenty of countries out there who would love to build the wings for Airbus aircraft." Hammond replied that as the Airbus had no current civil airplane projects, other countries would be welcome to build the non-existent wings. Then Hammond said he had to leave to attend a Davos meeting. Enders said no wonder the UK was in such a state if ministers are talking to Dr, Who characters. Hammond said he was going to take an Airbus but he's not now. I guess. There's something in here that intrigues me... and I think its how on earth anyone can read it without dying from boredom. LOVE IT. I GENUINELY LOVE THE ITEMS ON LAUGHSND. I wish people would just shut up and stop making this kind of comment. Ho many balloons did it take to write this item? :(.